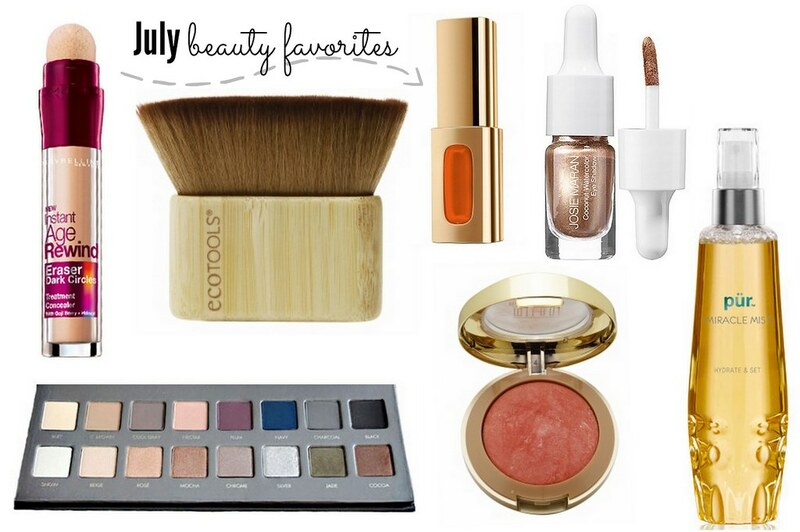 In terms of beauty, July was all about long-lasting makeup that could stand up to the heat of the summer. I used most of the above products while doing my friend Keri’s makeup for her wedding (along with the other bridesmaids), and the products all withstood the test of a long day combined with summer sun and humidity. The Lorac Pro 2 palette has been the one palette I’ve reached for almost every day. And the Milani baked blush in Corallina? A drugstore dupe for NARS blush at a fraction of the price. I also bought the Josie Maran coconut watercolor eyeshadow in Rio de Rose Gold, and it is so pigmented.